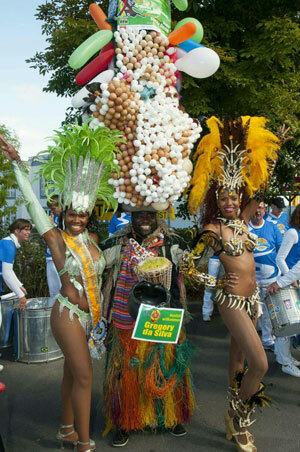 Gregory da Silva, The Famous Eggman of Cape Town South Africa, Award Guinness World Records: MOST EGGS CARRIED ON A SINGLE HAT. 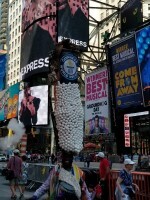 Gregory Da Silva (South Africa) created a hat bearing 642 real eggs on it and presented it on the set of Lo Show Dei Record, in Milan, Italy, on 25 March 2011. 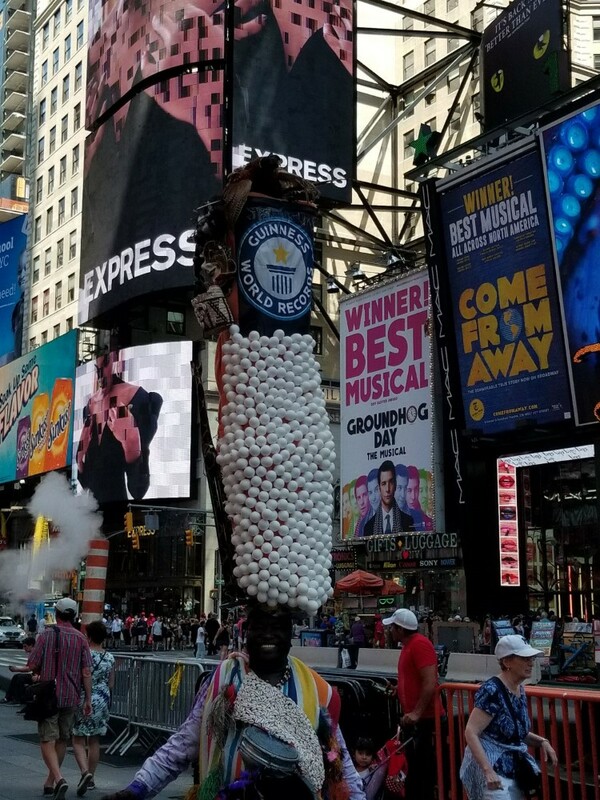 He is in The Guinness Book of Record. 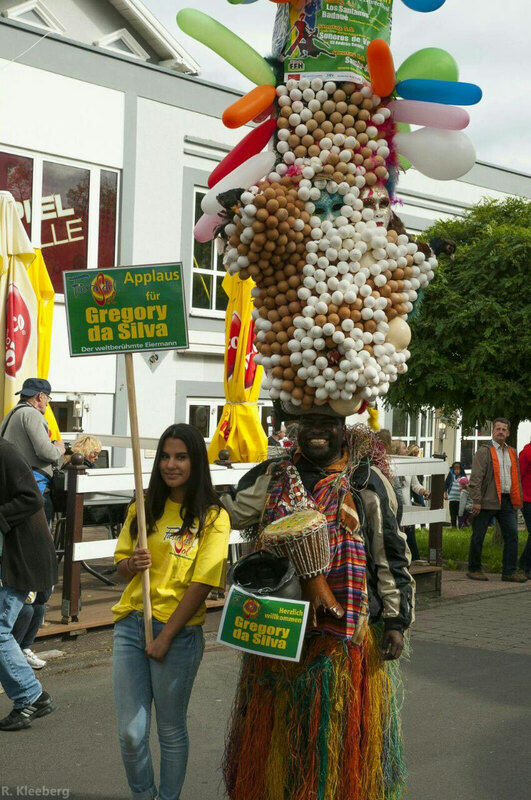 Gregory da Silva, performed also during the FIFA WORLD CUP 2010 SOUTH AFRICA and has becomes an Institution at the National Art festival in South Africa. 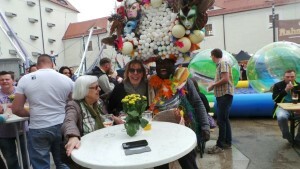 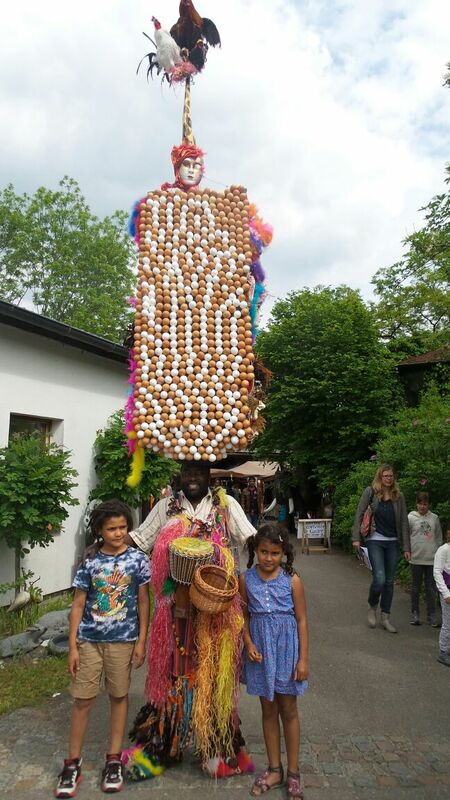 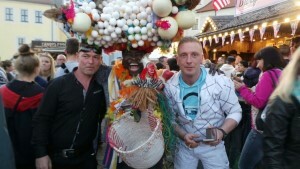 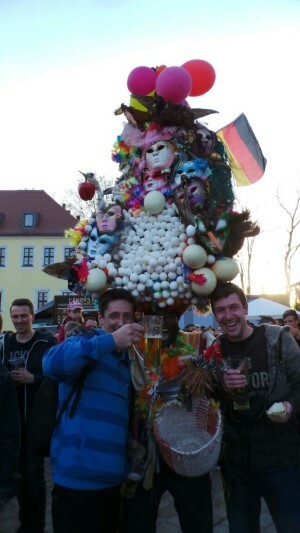 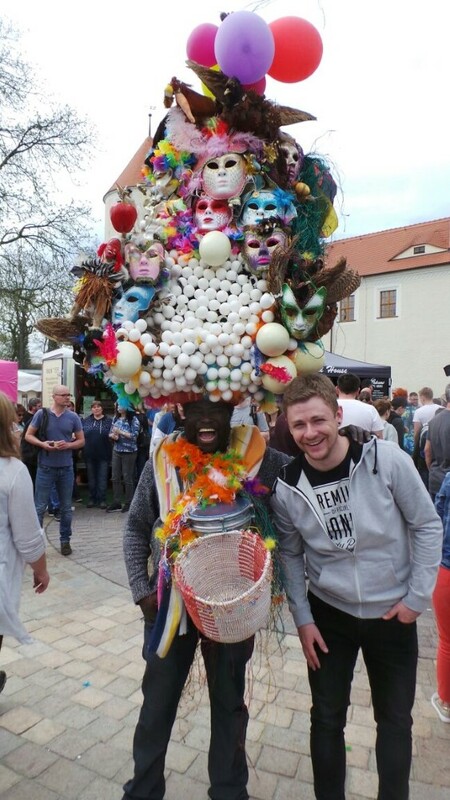 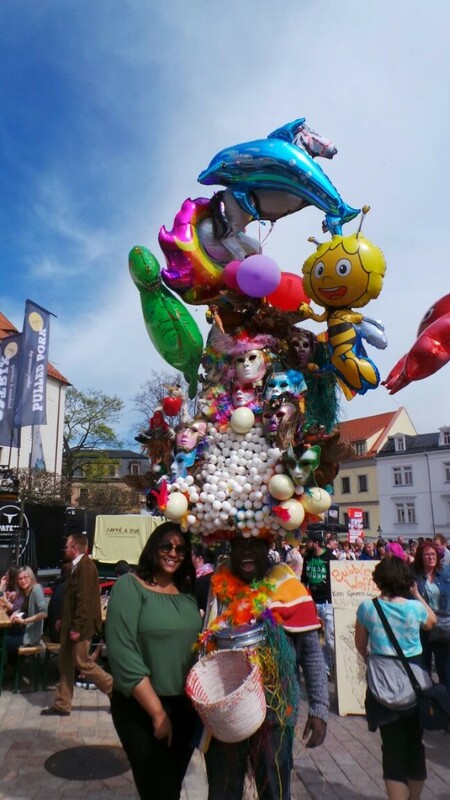 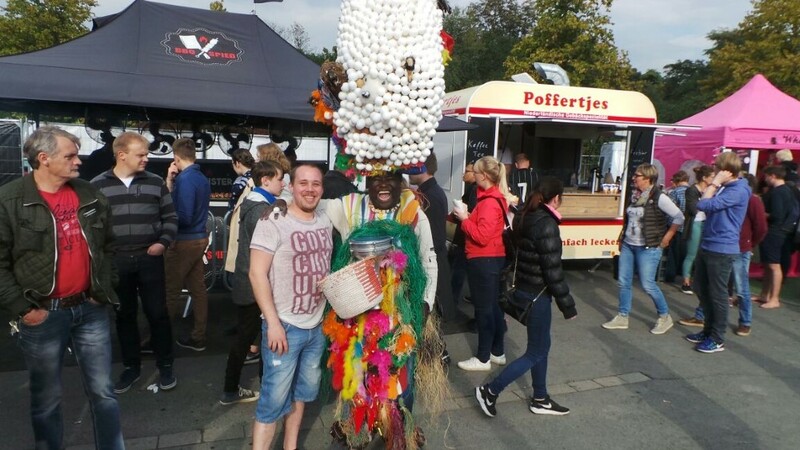 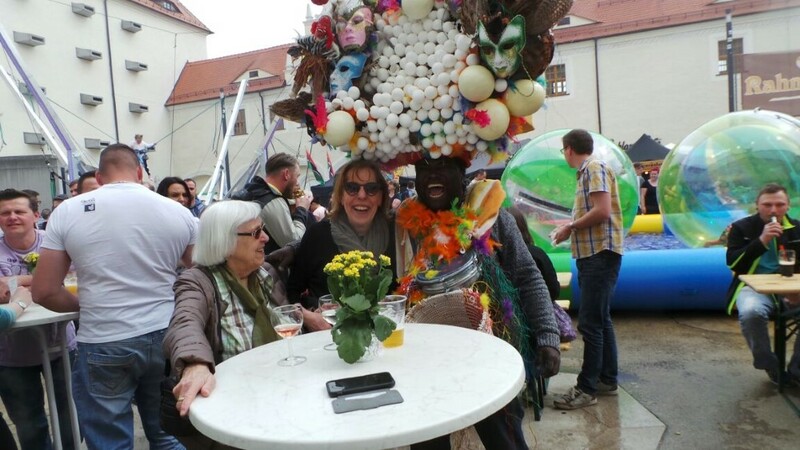 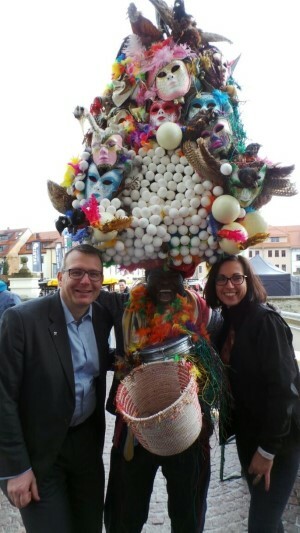 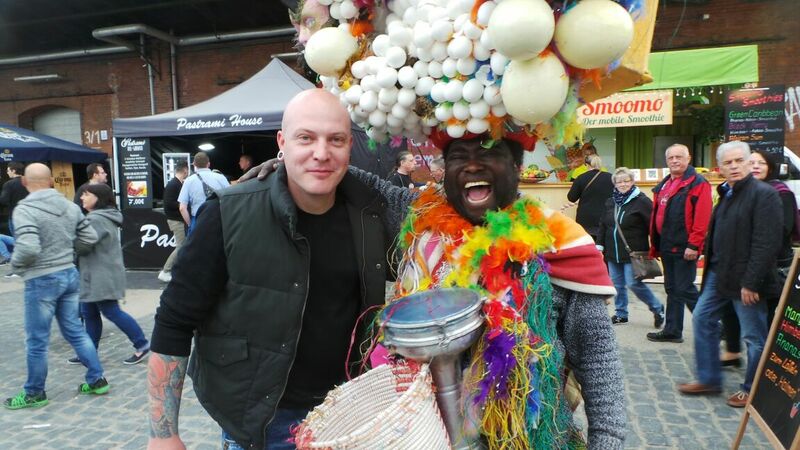 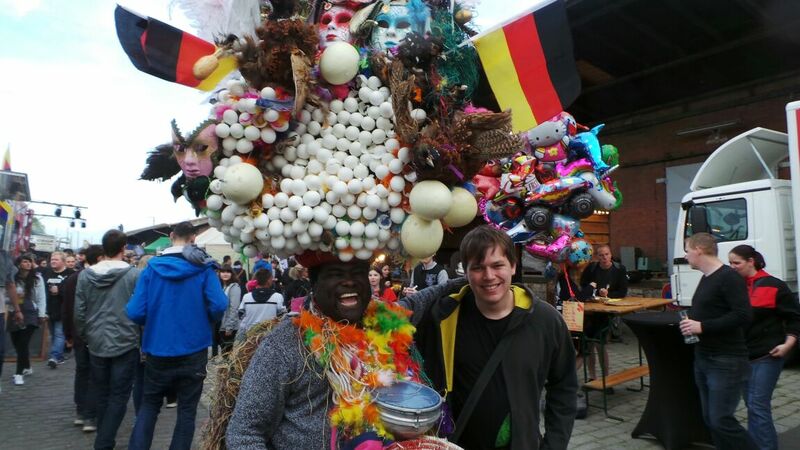 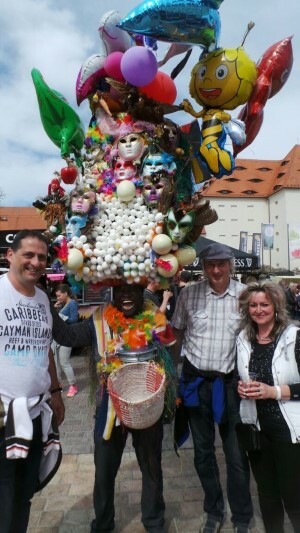 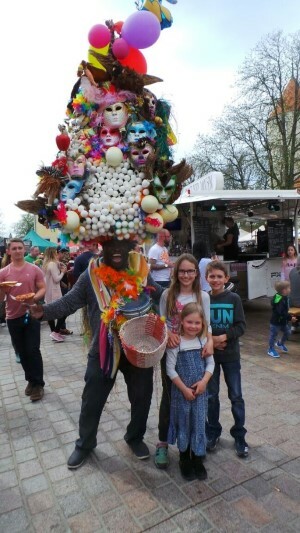 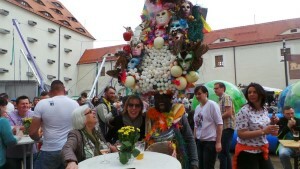 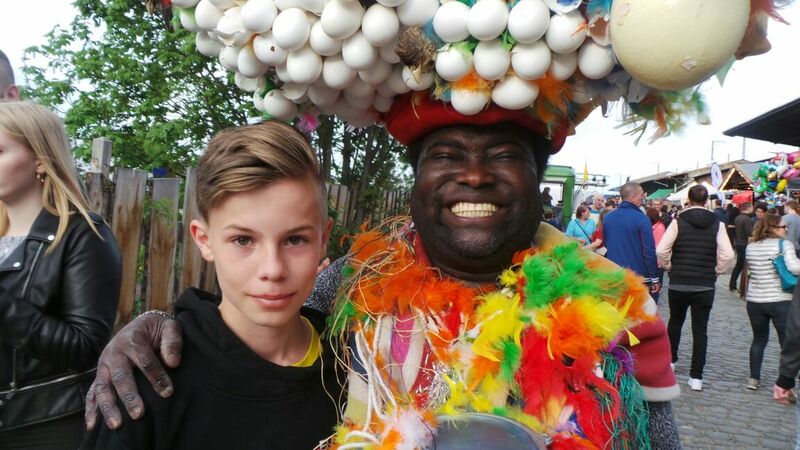 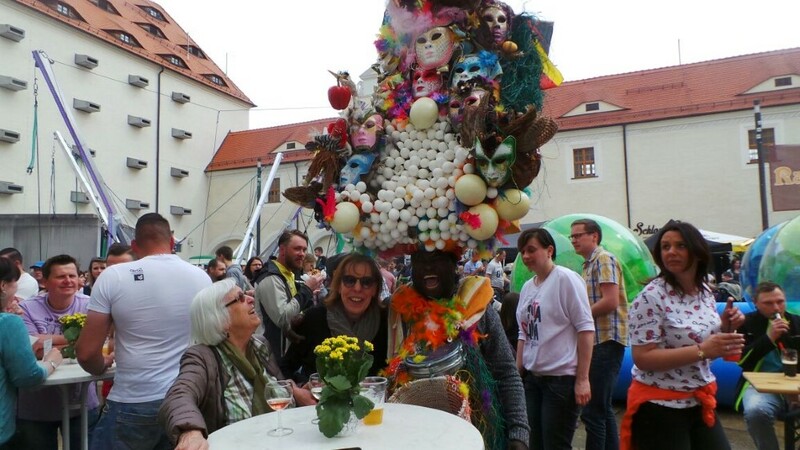 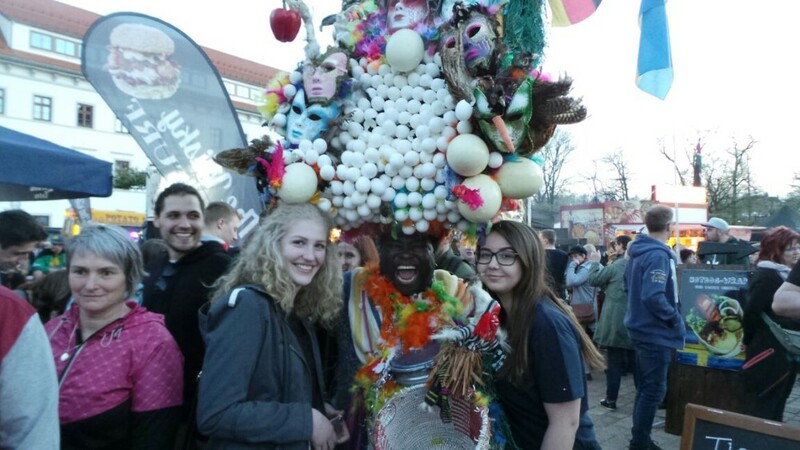 Who is that Guy with all the Eggs on his head that you see at all the bestest Festivals in Germany, Spain, Holland, France, Italy, Europe, South Africa and World Wide? His name is Gregory da Silva - An Comedian Artist, Storyteller, dancer and live street perfomer from Benin West Africa. 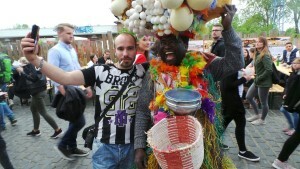 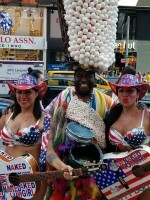 Gregory da Silva ( Egg Man ) was born on 8 July in 1979 in Cotonou Benin West Africa, Voodoo Country. 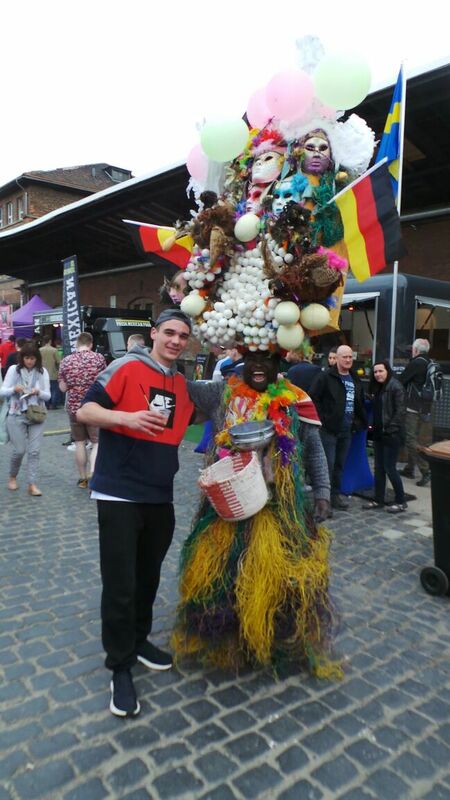 He speaks French, English, German and is staying in Germany Deutschland. He has appeared at many Festivals in Africa, Europe and World Wide. 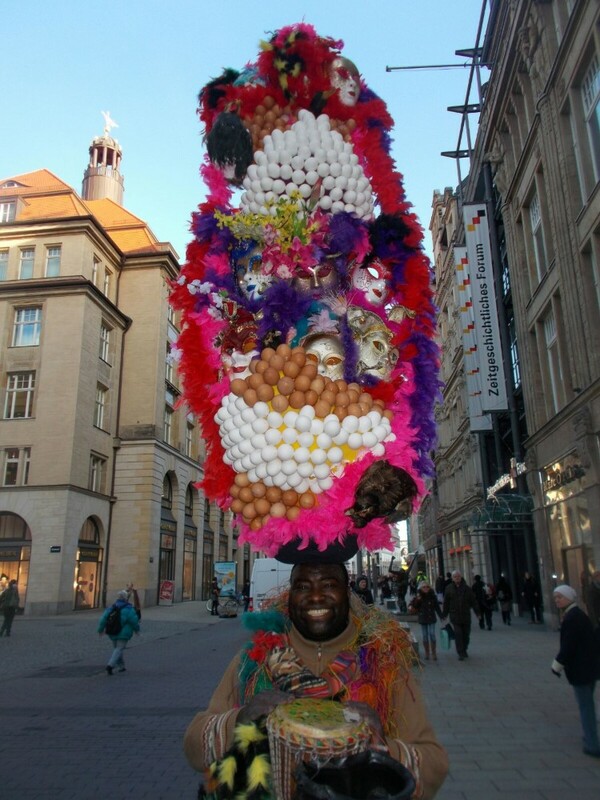 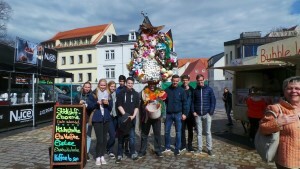 In Germany Gregory da SILVA, appeared in many Festivals, Carnivals, Films and others Culturals Events. 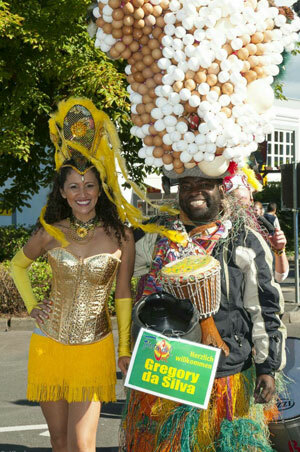 Gregory appeared in Many Festivals, Conferences, Congress, World Expo, Gala Dinners Awards, Radios Interviews world wide. Also has done many Television Commercials: Nokia, Primus Beer Congo, Sony Erikson Mobile Adverts for Sweeden, Primus Beer Heineken Congo, Amstel Beer Heineken South Africa. 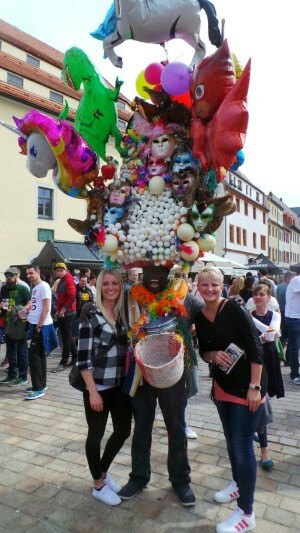 Film: ZDF Television, 24 Hours South Africa. Film: Ticket for Sell for Belguim. 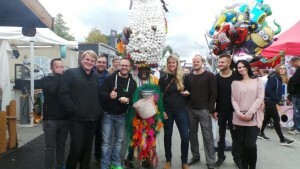 Aardklop Kunstefees Afrikaans Music Festival in Potchefstroom. Famous Eggman stayed 8 Years in South africa (September 2003 until March 2011). 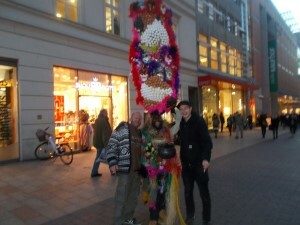 Now has move defentively to Germany. 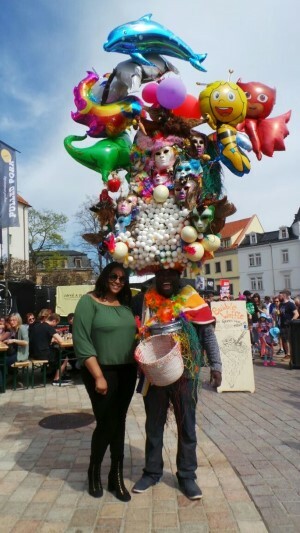 In the first heady years of the African Union, the world�s eyes are increasingly turned to the continent from which humankind first appeared. 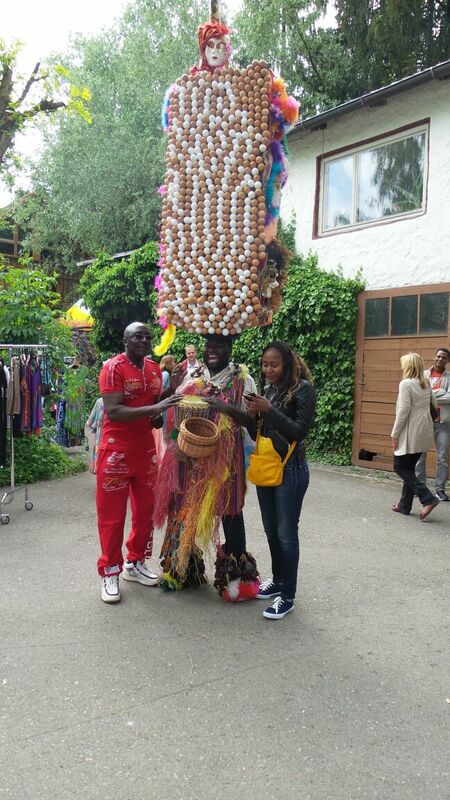 The outfit always turns heads � and each day it boasts a new feature, a new symbol of an African culture or practice. His headdress weighs up to twenty five kilograms, his body is armoured with artifacts and his face painted with tribal patterns and an undying smile. Born in Benin, West Africa, 1979, he was trained in computer science at university, but went on to found a theatre group in Benin called �Voice of Spirit� or �Voix de l�Esprit�, which performed politically motivated as well as comic and poetic theatre at the Benin National. He performs every day in Market square Cape Town and adds an air of Rio-style festivity wherever he performs. 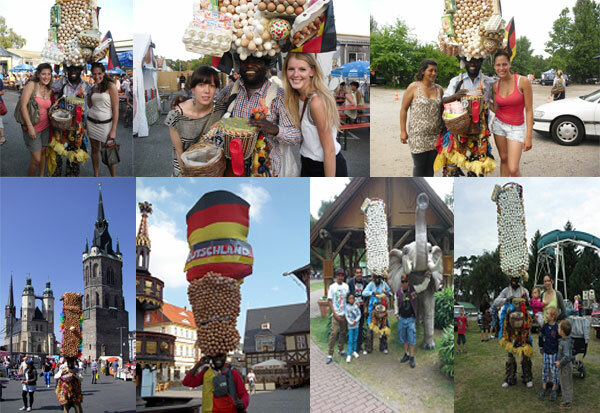 Many tourrists from Germany, England, America, Italy, France, Belguim call Gregory - "The Eggman", "Eierman" or "Chicken Man". Very famous in Africa. and almost an institution at Art festivals in South Africa. 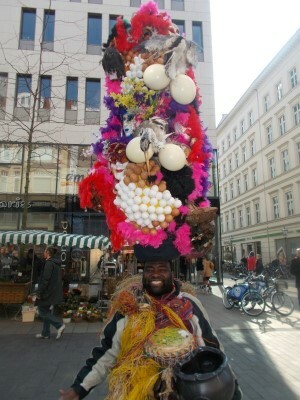 Gregory da Silva walks Green Market Square (in Cape Town). 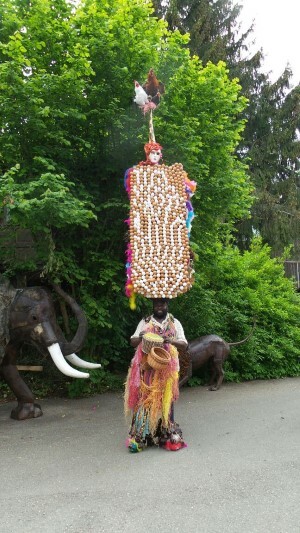 The outfit always turns heads - and each day it boasts a new feature, a new symbol of an African culture or practice. 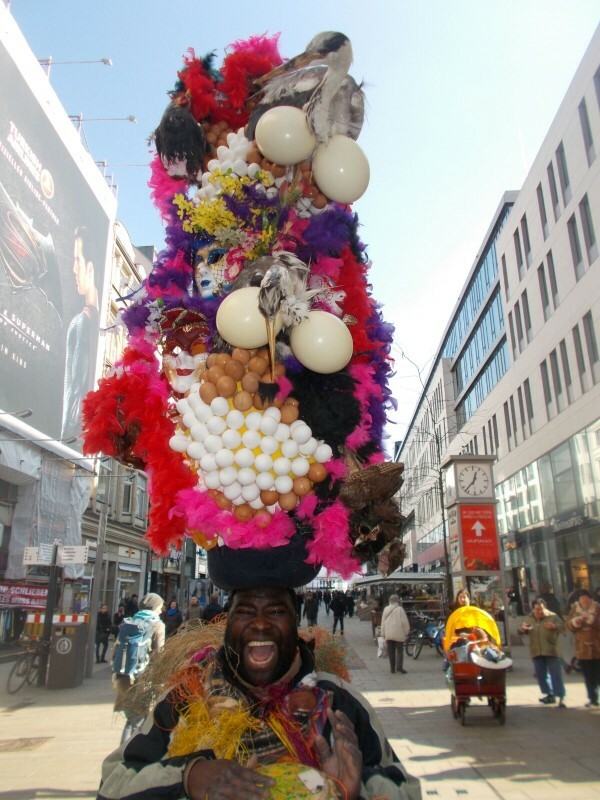 His headdress weighs up to twenty five kilograms, his body is armoured with artifacts and his face painted with tribal patterns and an undying smile. Each day, Gregory Da Silva presents the city centre with a new display of his symbolic art. Gregory's voice is lively and he repeatedly offers phrases and words in French. Attention is soon turned to his artifact-laden tunic which Gregory says is about "all African tradition, all African culture[s]" and he goes on to explain some of the more prominent objects displayed. First, he points out the clusters of sea shells hanging around his neck, saying that in Africa these shells were "old money" and once used as currency. 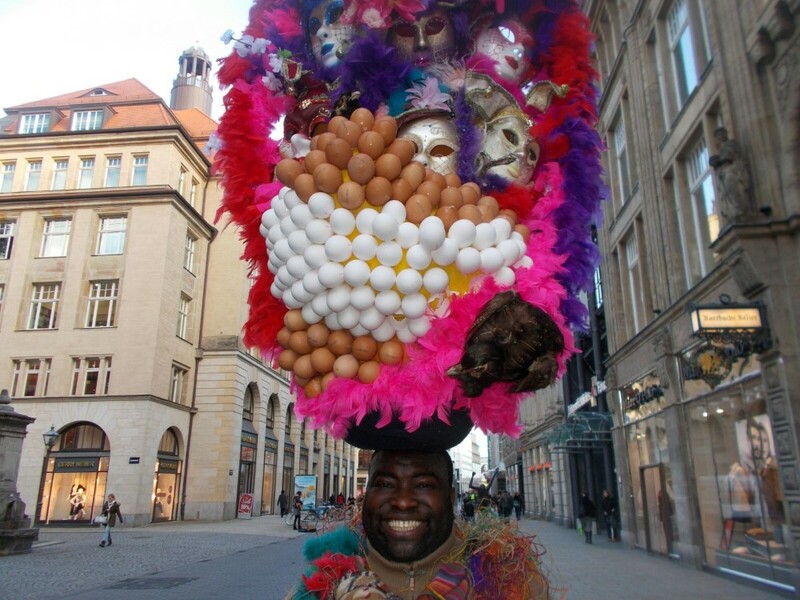 He explains the eggs on his head dress as being symbolic of life and says "everything must be life, everything must shine, [and] be positive". 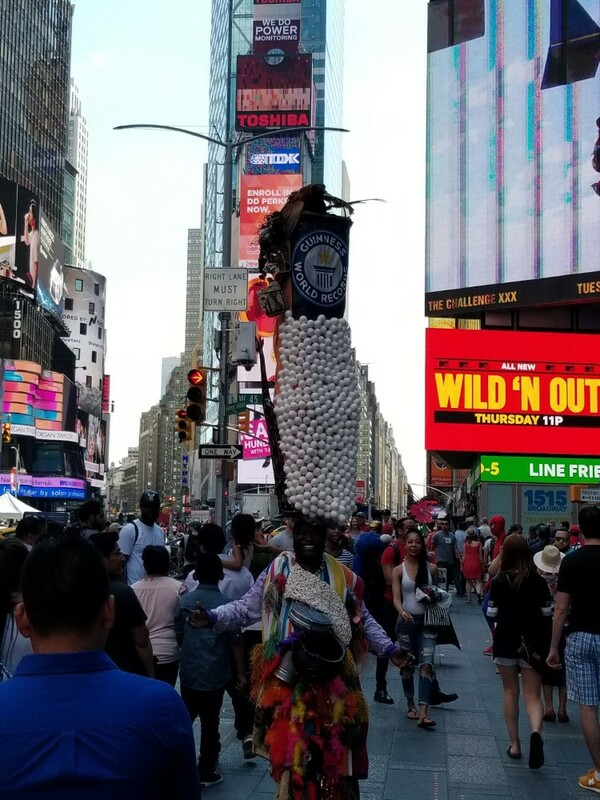 Next his hands grab the arcane black bottle near his waist to explain that in his culture, the Sangoma people would place "good spirits" in a bottle, with which they would "heal sick people [they] passed while walking on the roads". 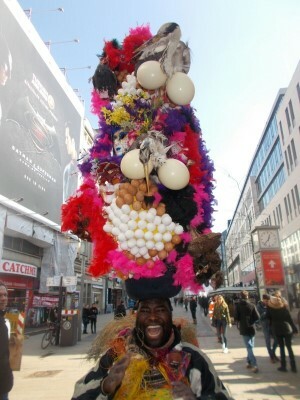 The broken shards of mirror found on his chest bear similar spiritual significance, and are often worn by Voodoo people in Africa and are said to be a kind of window into the spiritual world, and a "way to talk to [their] ancestor[s]".Gregory says his main inspiration or motivation is to "make people laugh" and "make people happy" and to represent different African cultures. 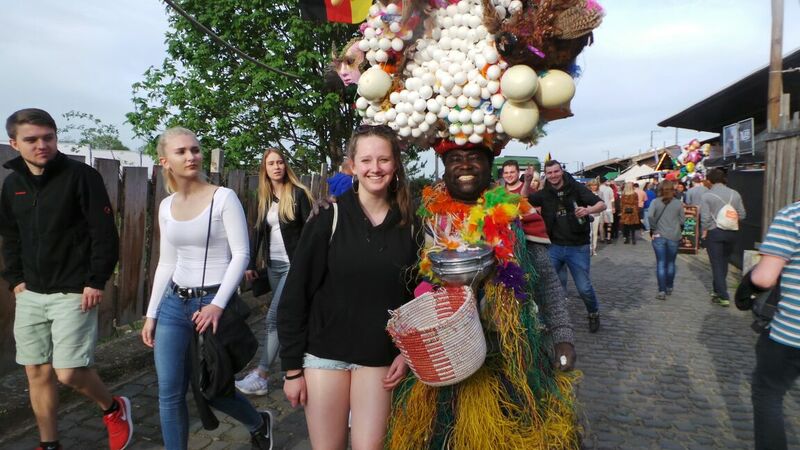 He says he always thinks "how we can put all of Africa together to make [it] one", adding that "not one country can be forgotten". When he is travelling in Africa, be it in Senegal, Cameroon, Mali or the Congo, the local people invariably look at him and say "ahh, that is our culture" as they see something of their own represented. 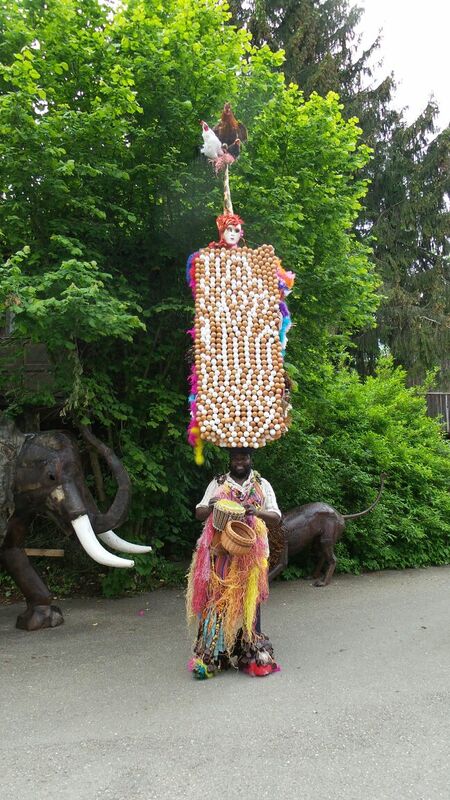 "All Africa is in my clothes" he says, drawing attention again to his peerless suit. When not walking St. Georges Mall or Green Market Square, Gregory features at the Grahamstown festival, the Hermanus Whale Festival, has been hired to receive guests at hotels and airports, and has also appeared on SABC 2 and E-TV News. 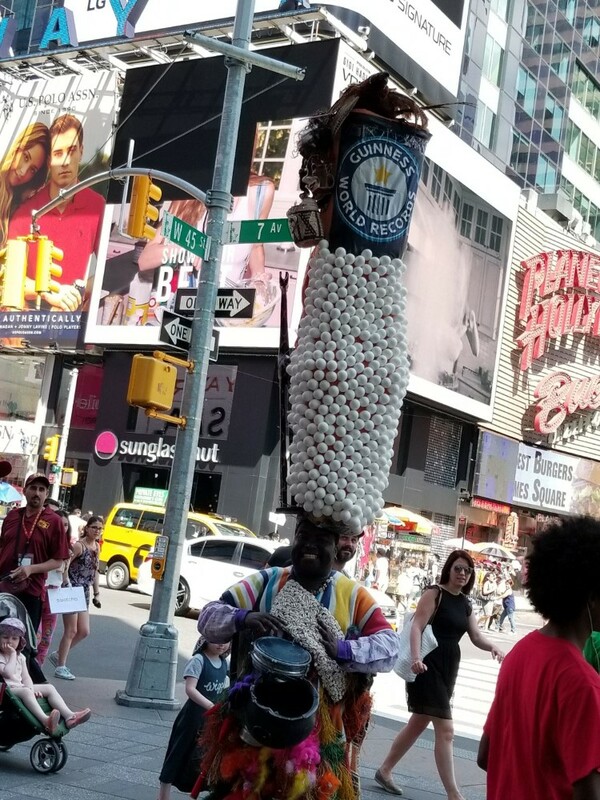 He is very popular with tourists, especially those from Italy, England, America and Germany, who frequently ask why he does not come over and do his thing in their own country. 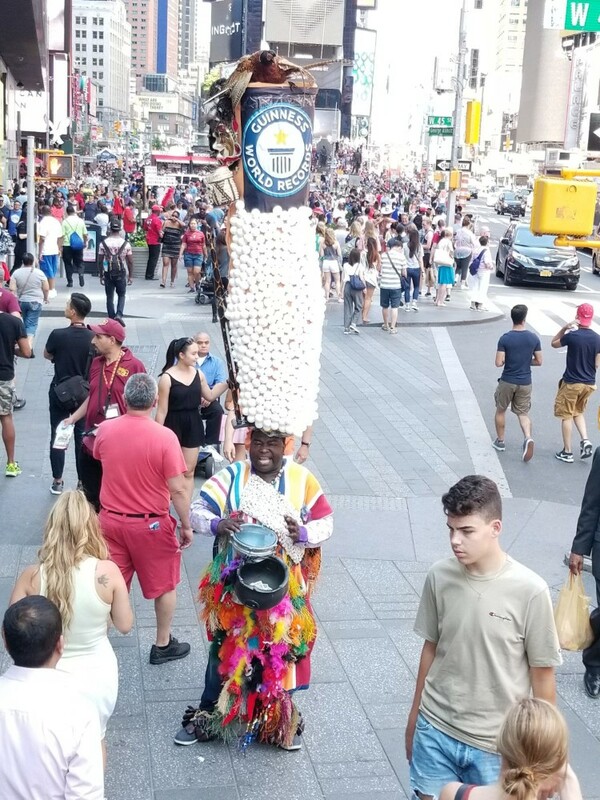 But he says his focus is on Africa. 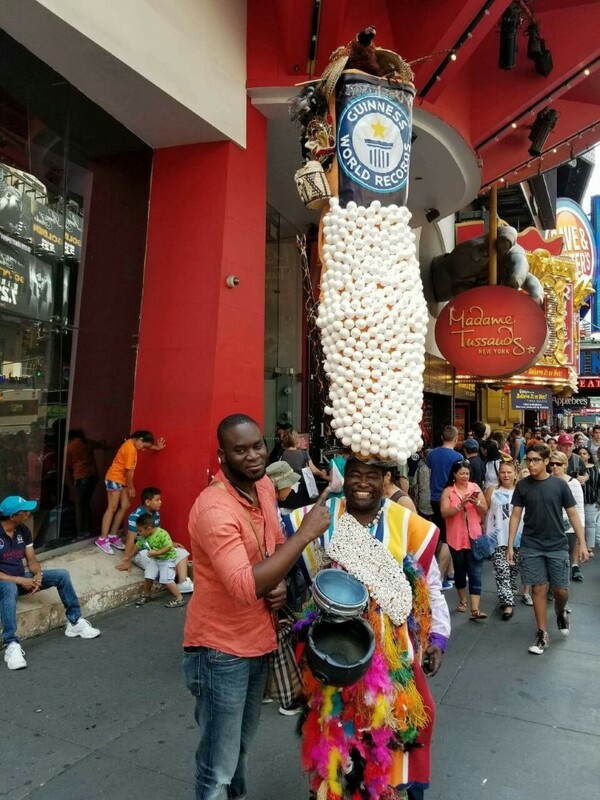 Pictures of him certainly do get back to their countries though, as Gregory says everyday "hundreds" of pictures are taken of himself, usually posing with the tourists. Asked about his dreams and ambitions, Gregory (or the "Egg Man" or "Ei man" as he is also known) says that he is planning on starting an art school, which is part of his 'Project For Africa' . 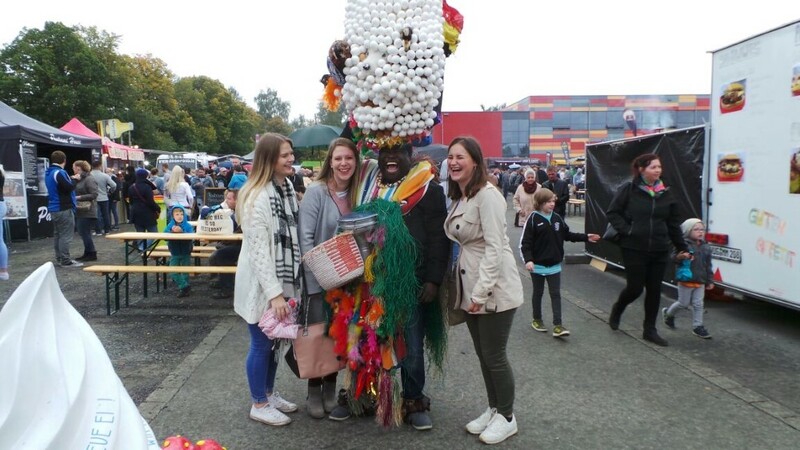 He wants to impart creative knowledge to South African youth, giving them the power to create beautiful things and also to support themselves, all part of his ultimate venerable ambition to "[bring] Africa together to make one. 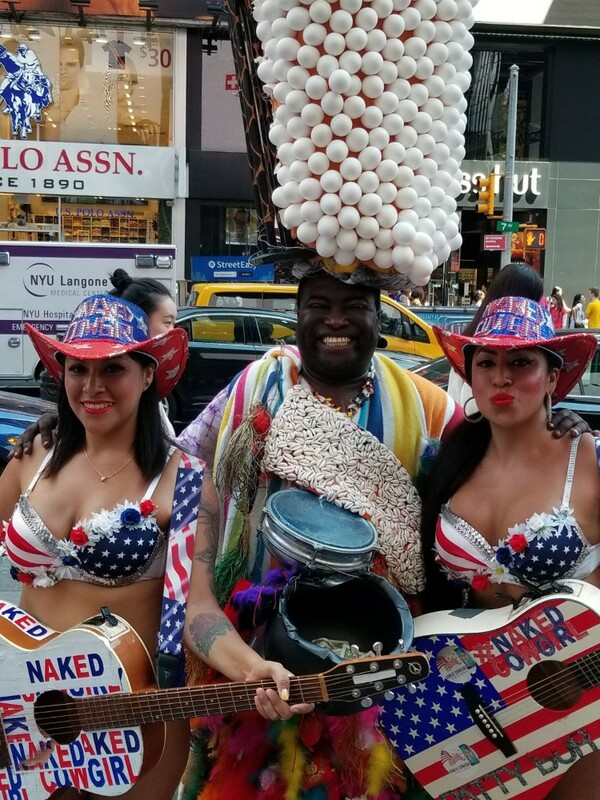 Gregory da Silva, better known as the Eggman or Eierman, can cheer you up � no matter what kind of day you�re having � with his comic laugh and broad smile. 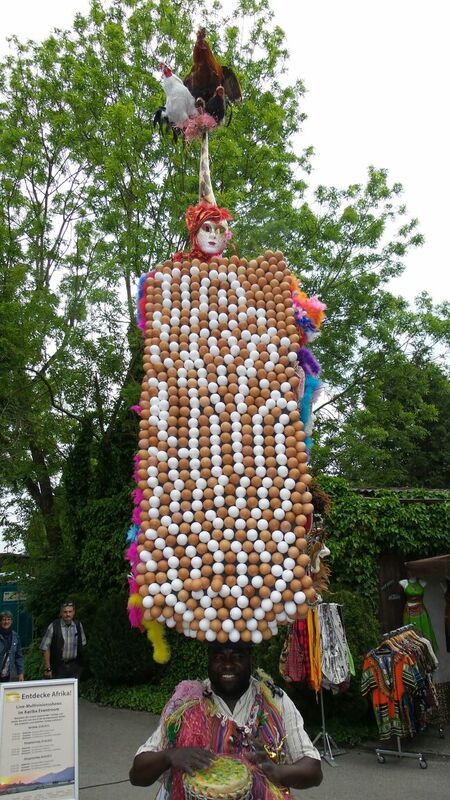 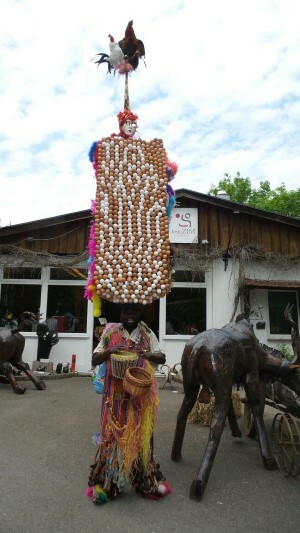 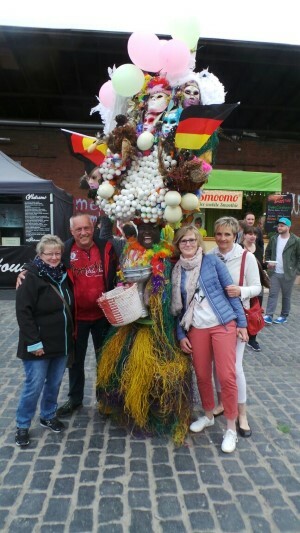 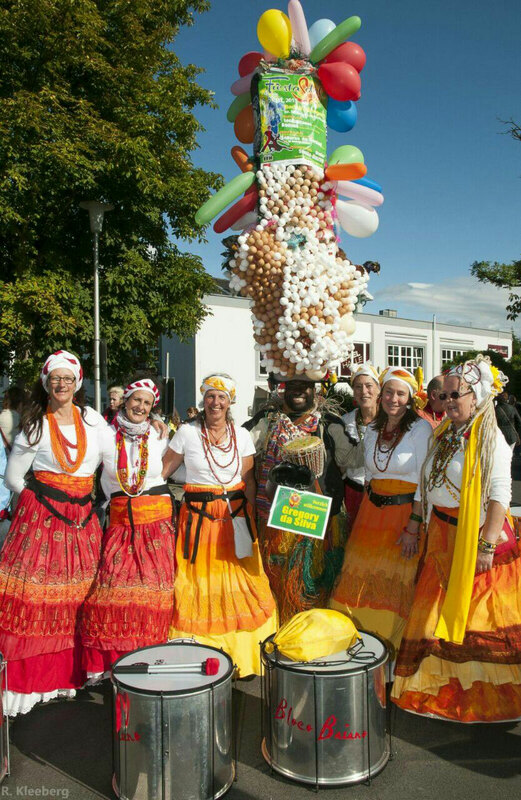 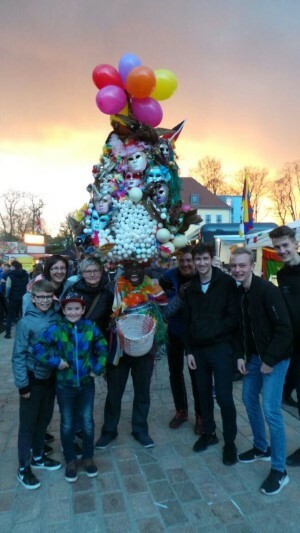 Eggman stands out in a crowd with his 3m-high hat made of eggs and other recycled bits and pieces, weighing up to 27kg, along with his colourful tunic, which represents all the countries on the African continent. 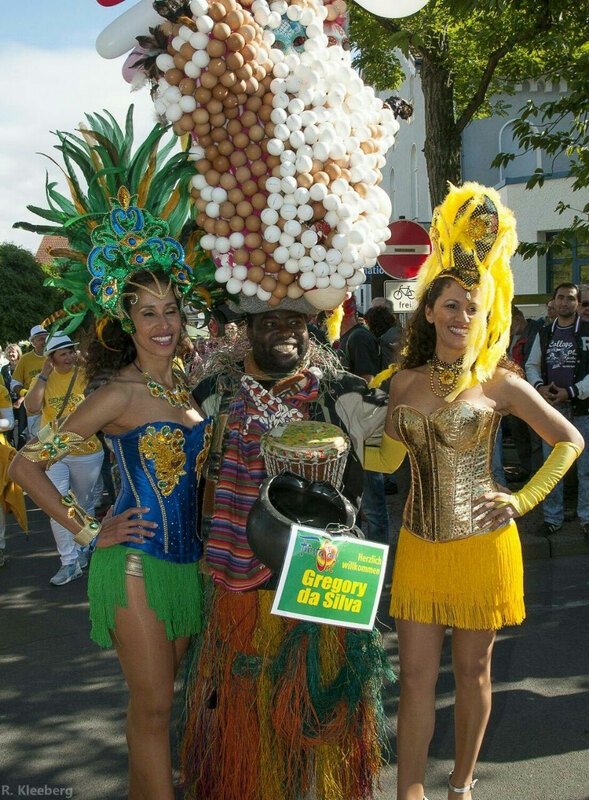 Da Silva has proved to be a positive influence among Capetonians and tourists. 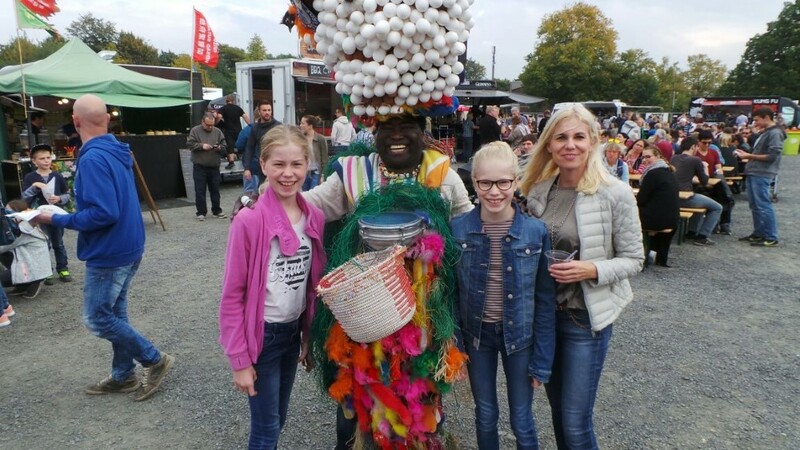 He is a well-known entertainer both locally and internationally after appearing on DStv�s Hallmark Channel, e.tv, SABC and CNN in interviews, advertisements and movies. 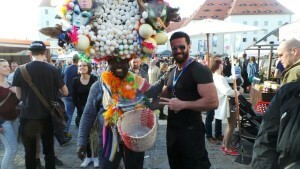 He is often invited to festivals to spread his enthusiasm and optimistic energy. He has attended the Masa Festival 2003 (Market for African Performing Arts) in Ivory Coast, the National Arts Festival in Grahamstown, the Innibos Festival in Nelspruit, the Hermanus Whale Festival, the Darling Festival, the Stellenbosch Street Festival, the Simon�s Town Penguin Festival and many more. 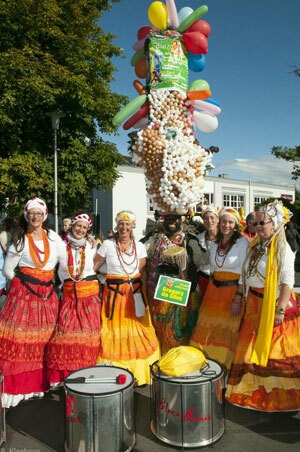 As the Best of Cape Town Awards 2008 finalist in the Performing Arts category, he shared his talent with children from the township by teaching them about art, performing and dance through his Project for Africa programme. "Children in Africa need our help," he says. 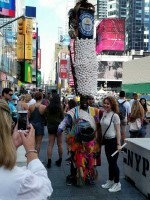 "Education is knowledge and knowledge is power. 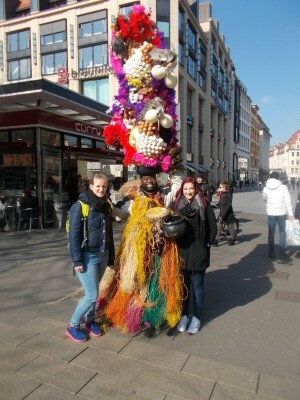 We need to change their lives positively because they are our future." 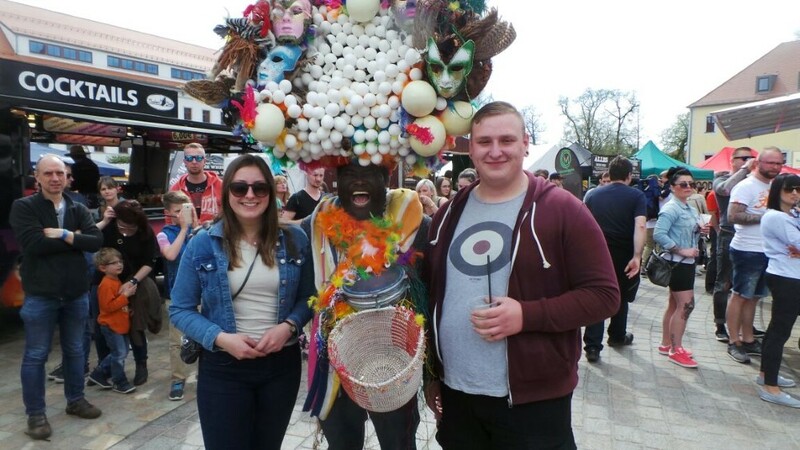 He loves Cape Town because to him, it�s the connection between African culture and the world. 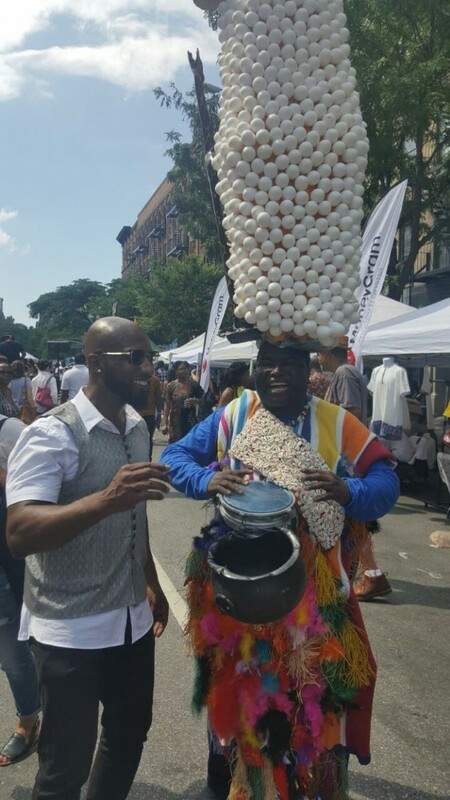 The Egg Man has become a symbol of the uniqueness and deep Joie de vivre of the African Continent. 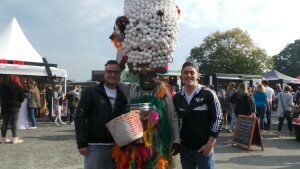 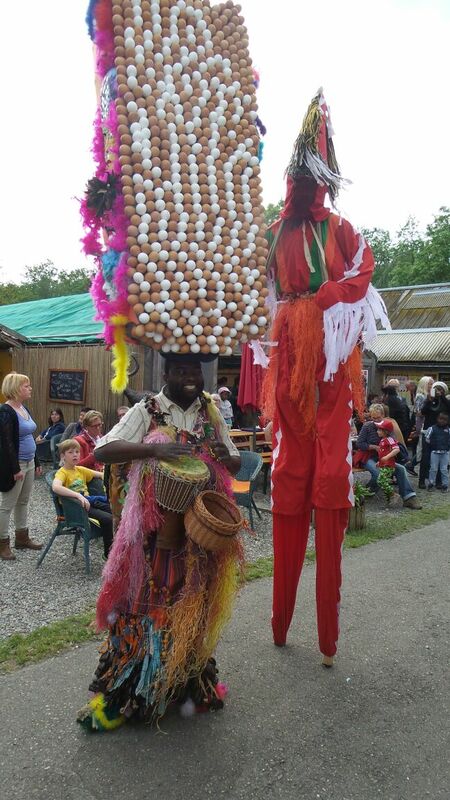 The Egg Man, who is based in Cape Town is seen at many of the festivals, fairs and events around South Africa. 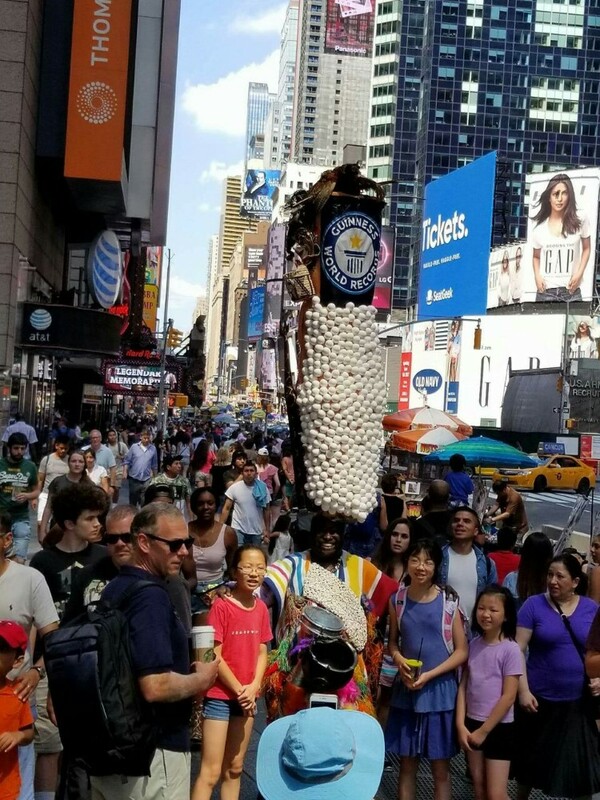 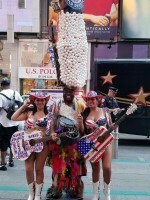 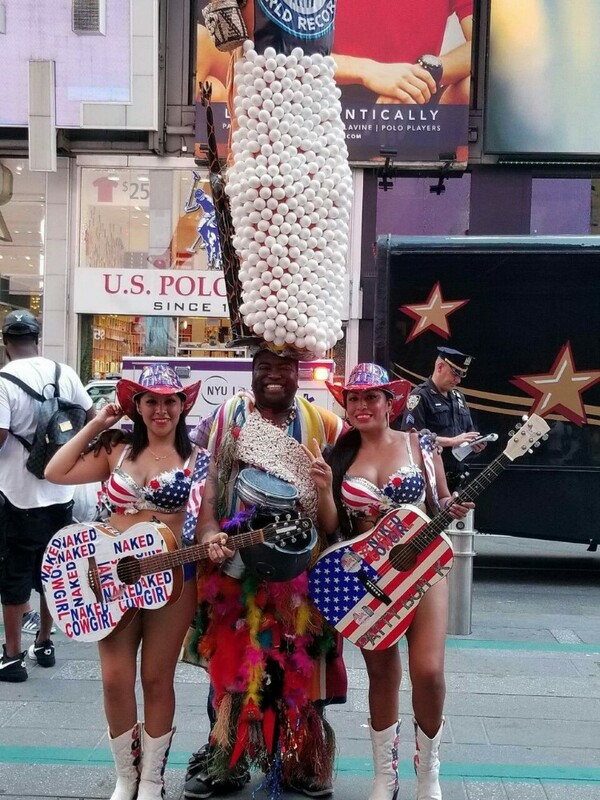 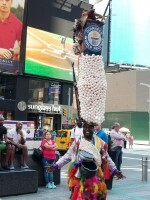 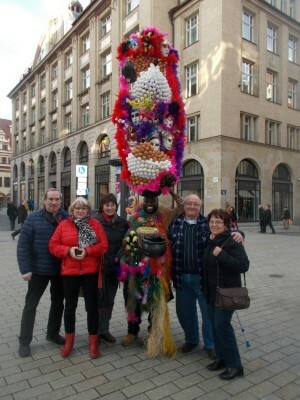 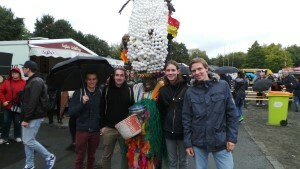 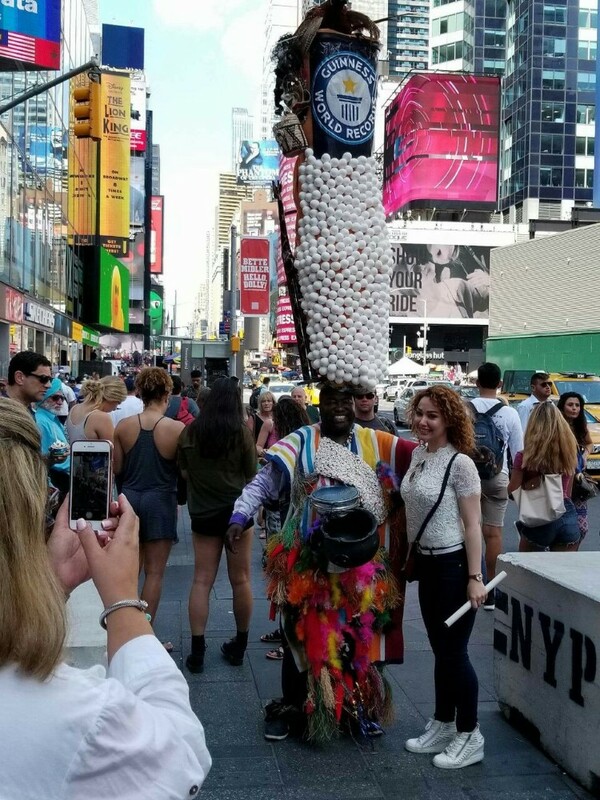 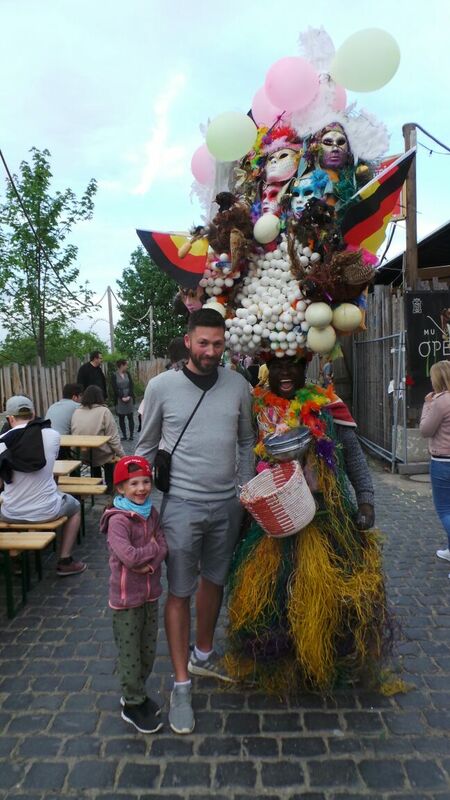 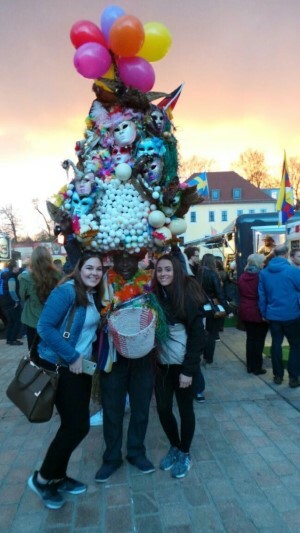 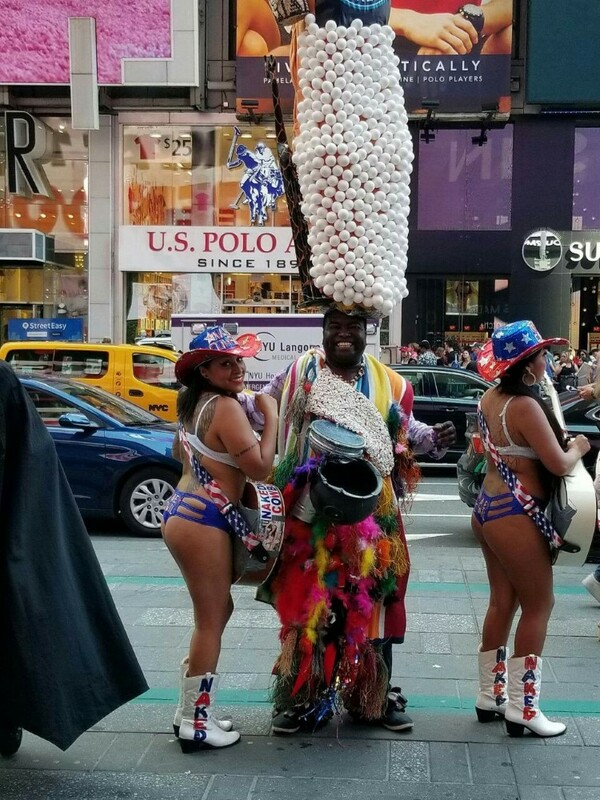 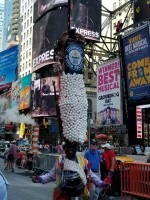 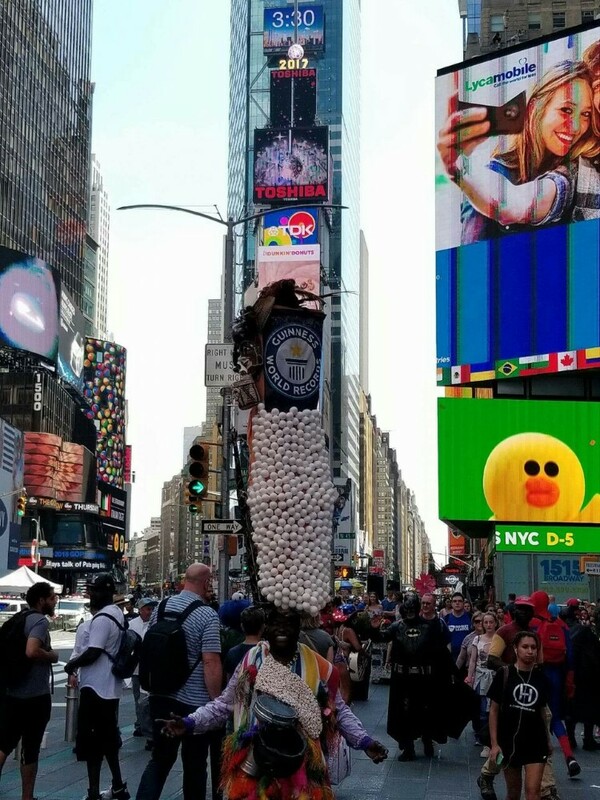 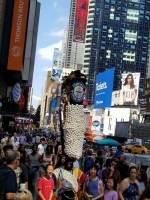 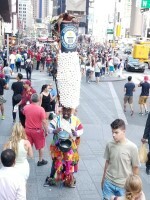 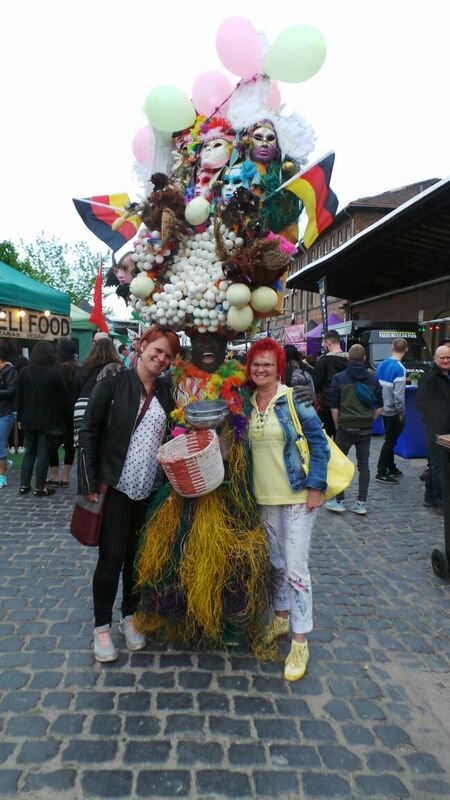 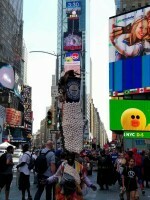 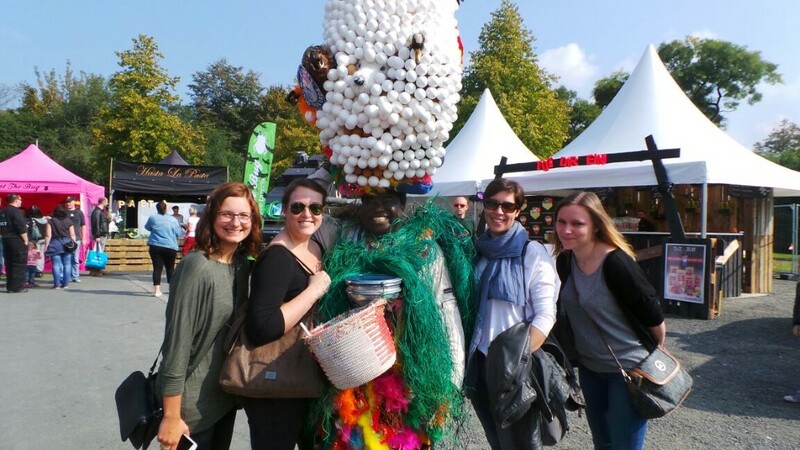 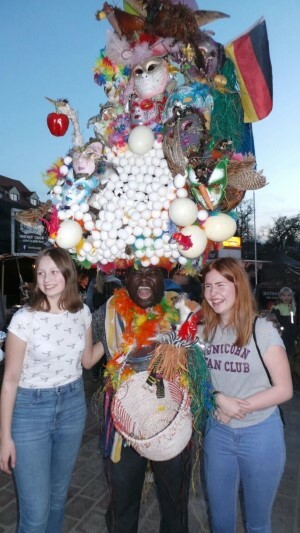 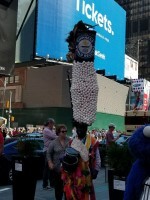 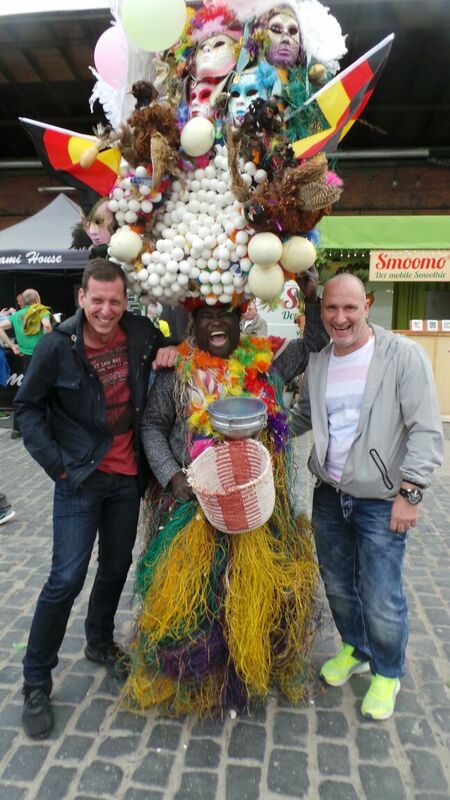 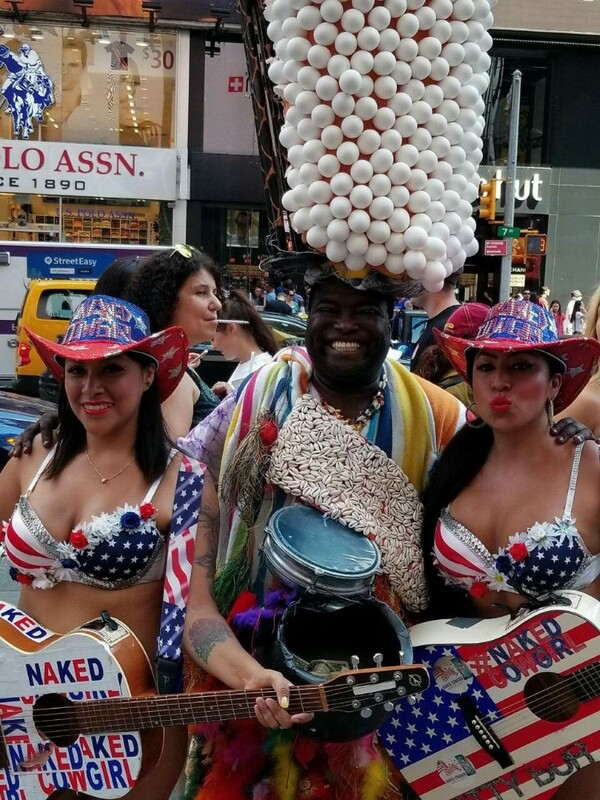 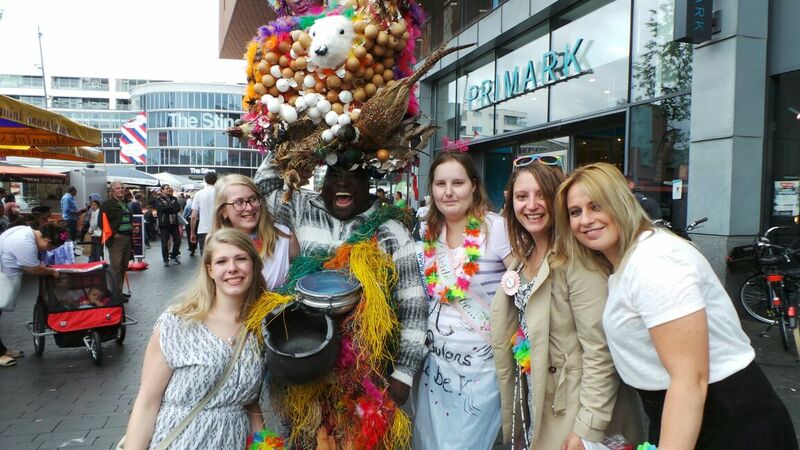 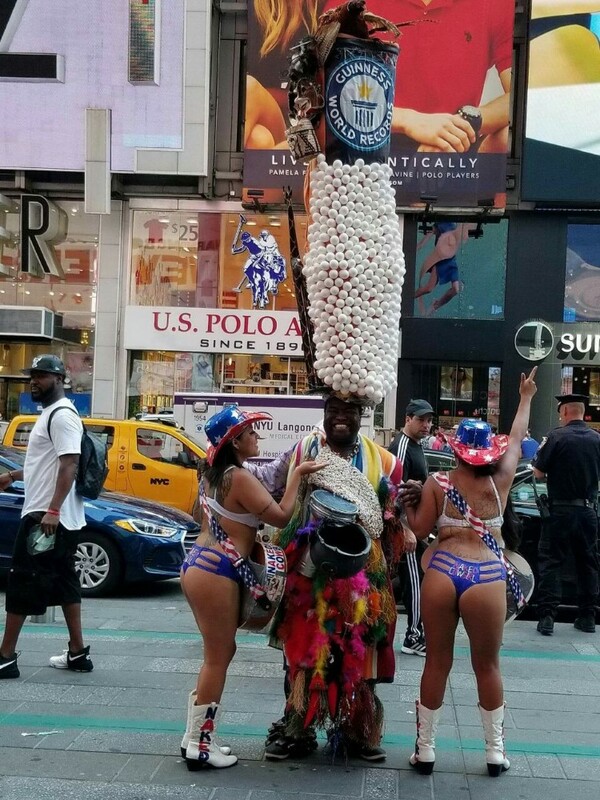 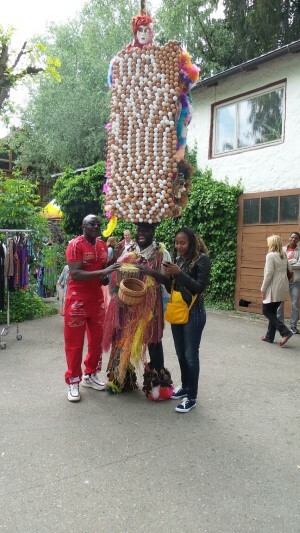 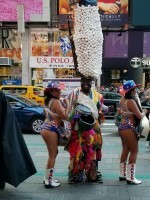 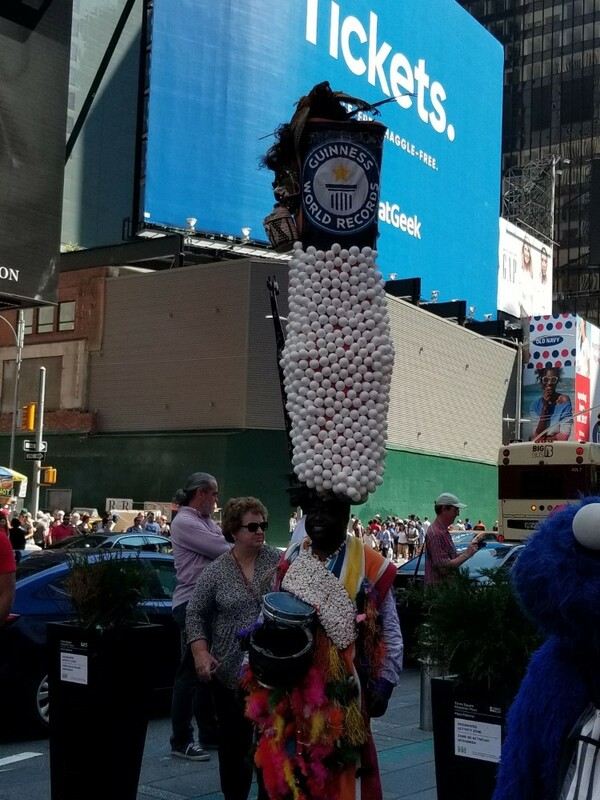 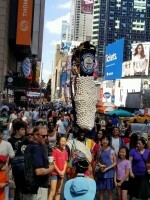 Tourists from around the world can�t enough of The Egg Man, this larger than life character, who prowls the streets in his African dress and huge egg hats. Some weigh up to 25 kg yet he manages to walk the streets day in and day out without mishap. Forever ready to solve your problems with the wisdom of the dark continent, Gregory Da Silva forgot years ago how not to smile and laugh. If you are touring South Africa and he is not off at some or other event you�ll find him in the City Centre of Cape Town � Green Market Square is his favourite haunt, or down at the V and A Waterfront. 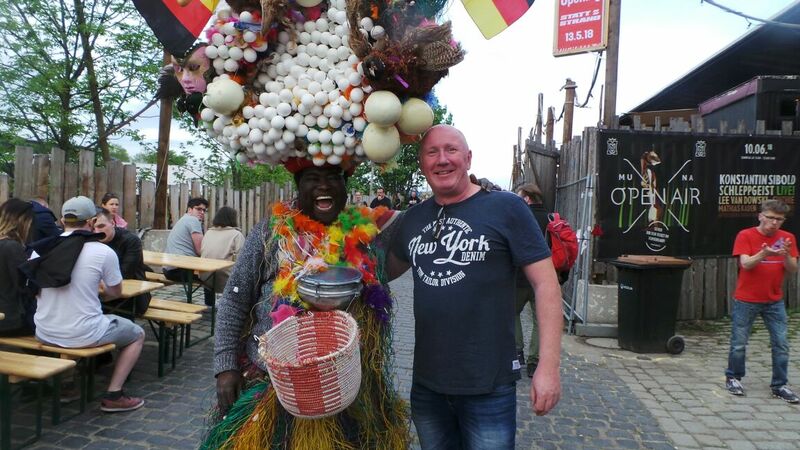 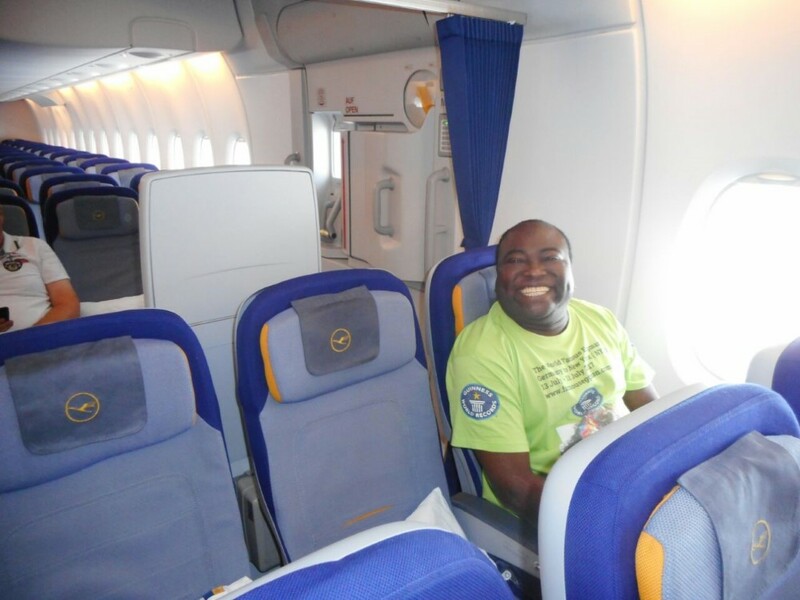 Gregory hails from the tiny West African Country Benin � a true international entertainer. 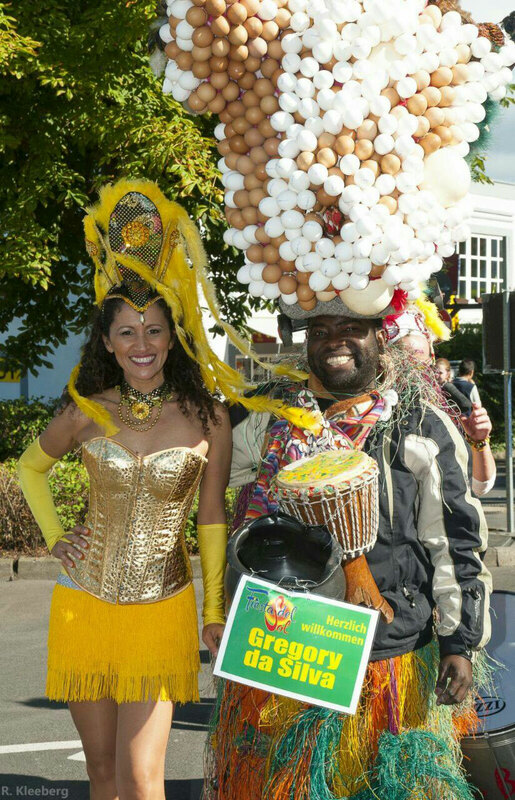 See Gregory Da Silva on The Egg Man website, and email him to find out where he will be performing. While in Cape Town you may want to do some touring. South Africa FIFA World Cup 2010. 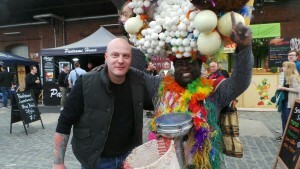 Eggman Cape Town South Africa.